Ten years ago, Montenegro became an independent country, separating from Serbia by a narrow margin of less than 1 percent of required votes in an independent referendum. This new independence meant many changes for a country that’s roughly the size of Connecticut. One of those important changes was something few expected: the country’s new domain name extension. Almost every country has a unique domain name extension. These are referred to as ccTLDs (country code top-level domains). For example, Canada has .ca, the United Kingdom has .uk and Denmark has .dk. However, because Montenegro wasn’t an independent country until the passage of this referendum, it had been using cg.yu (as part of Yugoslavia). Montenegro was also assigned the .cs extension following the breakup of Yugoslavia in 2003, but the country never really transitioned to using it. Following the referendum results, the Montenegro government announced a formal public RFP in 2007 and a Montenegro-based LLC won — doMEn Ltd, a joint venture between GoDaddy.com, Afilias Limited and ME-net, Ltd. Initially, the company had a five-year agreement with the government of Montenegro to run the .me registry, but that agreement has been extended for 10 more years, until 2023. At first glance, one might think a .me domain is, well, about the owner. But .me found a much wider audience, with many global brands adopting the extension, including WordPress, Facebook and PayPal. In fact, this short extension ended up changing the face of domain names, and Montenegro, forever. 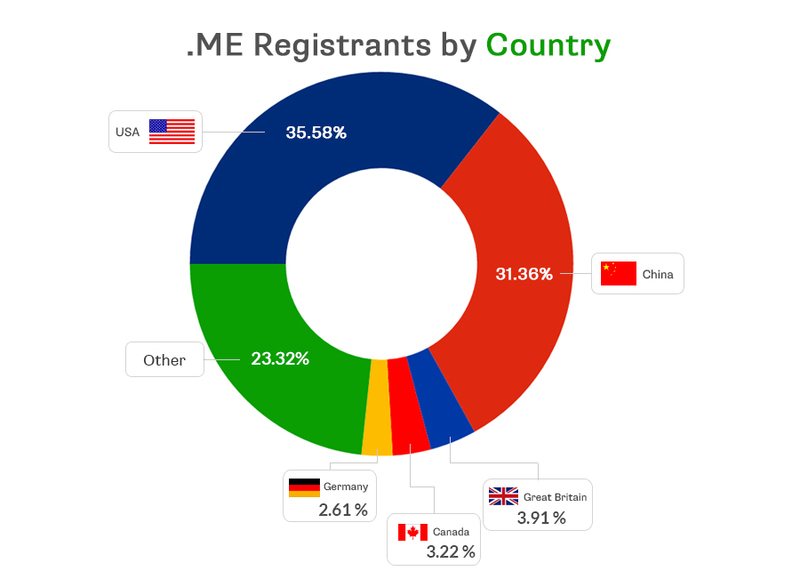 In March 2016, .me surpassed one million domain name registrations. That is a higher number than the registered ccTLD count of Hong Kong, Ireland and Singapore — combined (according to Domain Tools). While many ccTLDs, like .uk and .de, post much higher numbers, very few have achieved as much global success as .me. According to MONSTAT, the statistical office of Montenegro, the total value of exports for the country was €317.2 million in 2015. In essence, .me accounts for just over 2 percent of total exports. 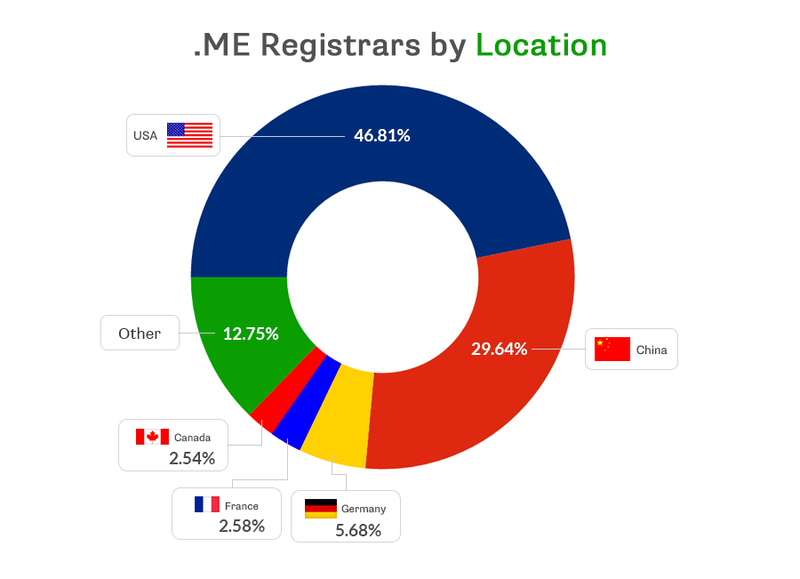 Who are the largest buyers of .me domains? Montenegro has not only gained a digital product with global demand, but also monetized it to significantly impact and benefit the local economy. For example, as part of the Corporate Social Responsibility program of Domain.me, the Spark.me conference launched in 2013. Hosted annually in the seaside resort of Budva, this conference attracts attendees from all sectors of the tech industry. Past speakers have included Matt Mullenweg (creator of WordPress), Peter Sunde Kolmisoppi (a co-founder of The Pirate Bay) and Christopher Fabian (co-founder and co-lead of UNICEF’s Innovation Unit, and one of TIME Magazine’s “100 Most Influential People” in 2013). Today, there are thousands of different domain name extensions, but when .me launched 10 years ago the world was vastly different. POTUS didn’t have a Twitter account, new gTLDs (generic top-level domains) were still a dream and Uber was just an adjective. Indeed, .me not only succeeded in making a ccTLD a household name, but along with .co is often regarded as the extension responsible for changing the playbook for marketing domain name extensions forever. Not bad for a country that doesn’t mint its own currency and is roughly the size of Connecticut.